Crafted from 5oz of 99.9% pure silver to Proof quality - with 24-carat gold enhancement! Exclusive - just 500 gold and silver coins issued worldwide! This new gold and silver release pairs Australian Dreamtime art with modern minting for a breathtaking result. 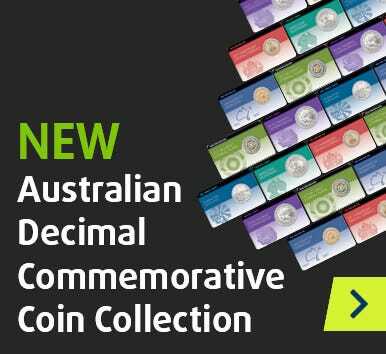 Limited to a mintage of just 500 coins, this official World Money Fair release has been designed in conjunction with award-winning Indigenous artist, John Smith Gumbula. It’s a beautiful representation of Australia, created with all the luxury and prestige of precious metal. Here’s your chance to become one of a select group of collectors! Just 500 of this beautiful release have been struck. This means that opportunities to own it will be strictly limited, so we recommend you act fast - especially given its official World Money Fair status! Held each year in Berlin, the World Money Fair attracts hundreds of coin dealers from all across the globe. Cutting-edge coin making technology goes under the microscope, as the latest and greatest numismatic releases from far and wide are showcased on a world stage. A beautiful representation of Australia, this stunning, 65mm coin will be officially debuted at the Fair - no doubt sparking worldwide demand. Many fascinating creatures inhabit Australia’s sky, land and sea - and these form the focal points of this coin’s stunning reverse. The design has been created in partnership with acclaimed Indigenous artist John Smith Gumbula, and incorporates traditional Australian Dreamtime art. A Wakka Wakka man from South Burnett, Queensland, John has a flair for fine detail and rich texture - elements which both translate perfectly to the world of coin design. The result is a magnificent showcase of Australia - our animals, our art and our 40,000 year-old culture. Spanning 65mm, this Niue legal tender coin comprises a staggering 5oz of 99.9% pure silver. It has been struck to Proof quality - the highest level of strike achievable in modern minting! This allows the detail in the design to shine through. But the true highlight? Each animal is enhanced in lustrous, 24-carat gold. Each gold and silver coin arrives housed in a luxurious, plush-lined timber presentation case. It is then housed in an illustrated World Money Fair outer box. An individually numbered Certificate of Authenticity accompanies each coin, confirming its exclusive status. With numbers limited and fierce demand expected, do not delay your order! Click ‘add to cart’ now to secure this exclusive release.